It’s March 1st and hoped we would be done with the Winter Storms by now! A significant winter storm will move through the region starting tonight. Wintry precipitation will begin later this afternoon in Nebraska and Iowa and gradually move southeast overnight. Snow and sleet are likely to begin the event –especially along the I-70 corridor–, and sleet may be heavy at times. Upwards of 1″ of sleet could be possible by Sunday morning when the precipitation type will convert to all snow. Snow will be likely on Sunday with several enhanced snow bands possible. Generally snowfall amounts will average between 5 and 7 inches. Sleet has the potential to lower snowfall amounts. The wintry weather will come to an end by late Sunday afternoon with bitterly cold temperatures likely. High temperatures on Sunday will only reach the single digits to lower teens. These may be some of the coldest readings for the month of March in nearly 40 years and potentially the coldest March high temperature of record for Kansas City. The currently lowest high temperature ever recorded is 11 degrees set back on March 4, 1978. To make matters worse, temperatures will plummet below zero heading into Monday, with life-threatening wind chills between -15 and -25F by daybreak. 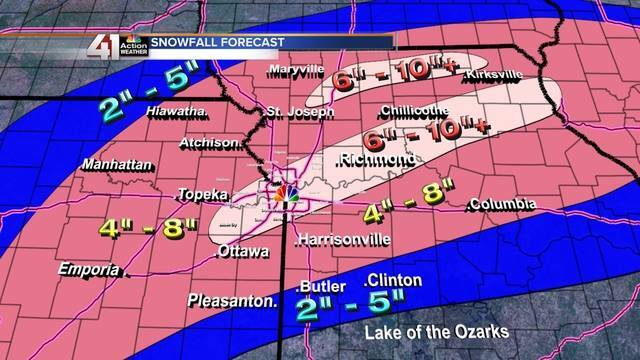 Okay so if it’s going to do it, then we request a little sleet with a lot of snow. 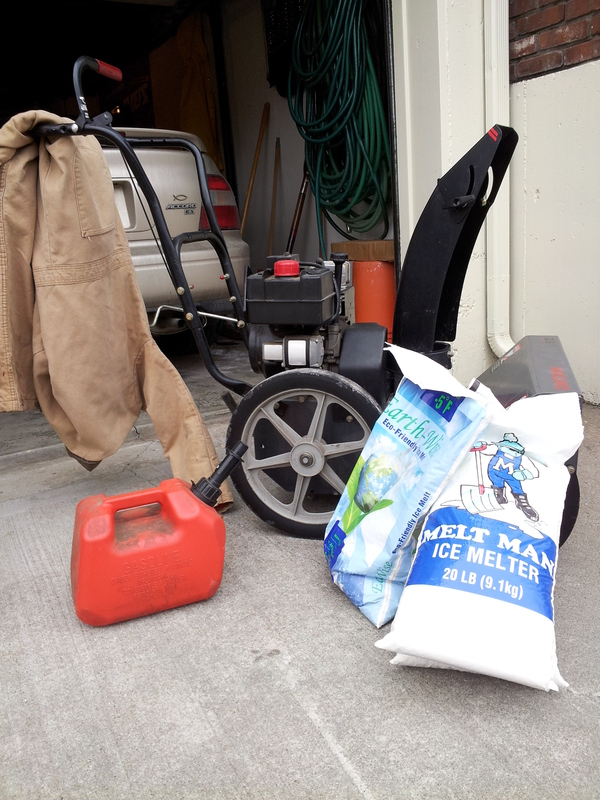 After all the snowblower still has gas in it from the last storm. The gas needs to be emptied anyway before storing it away for another year. Not to mention, I would rather ‘blow’ a lot of snow than to scoop a little! Yes we have ice melt, but what fun is that? Just scattering it around like your feeding the sparrows, when you could be shooting a stream of snow into the next door neighbors drive! So while I wait, I am spending the time tweaking the website. It’s amazing how much time can be wasted doing that! Then, I’ll check facebook, twitter, email…then I’ll go look out the window to see if anything has happened yet. I have a plan in place, So Mother Nature, if your reading this……Just Bring It Already! This entry was posted in The Blog and tagged Blue Springs, Mo., Scott Powell, weather, winter. Bookmark the permalink.